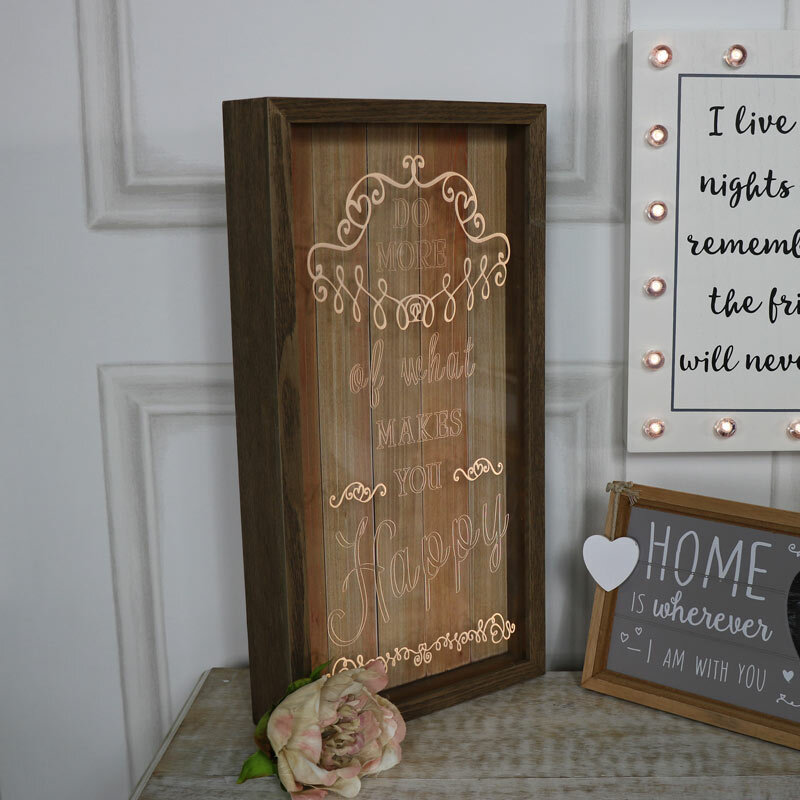 Wooden Framed LED Light Up Plaque "Do More....."
< Wooden Framed LED Light Up Plaque "Do More....."
Plaques can be a great way to express yourself and your style. This LED wall plaque would be a great gift for friends and loved ones. 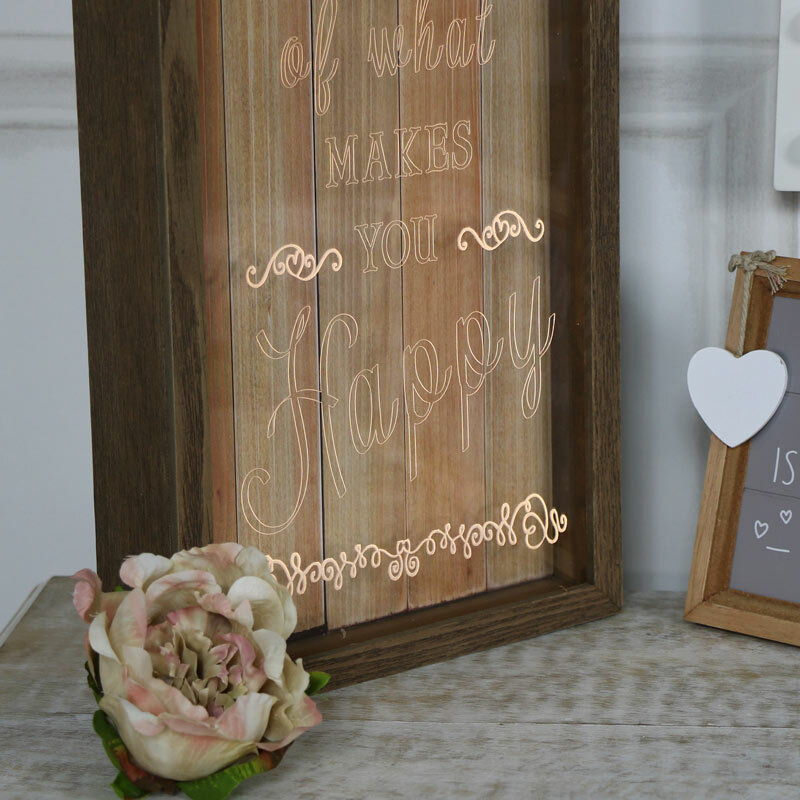 Laser engraved perspex with the words, "Do More of What Makes You Happy" in a wooden box frame. LED lighting makes the words light up when switched on. A fantastic way to light up a room. 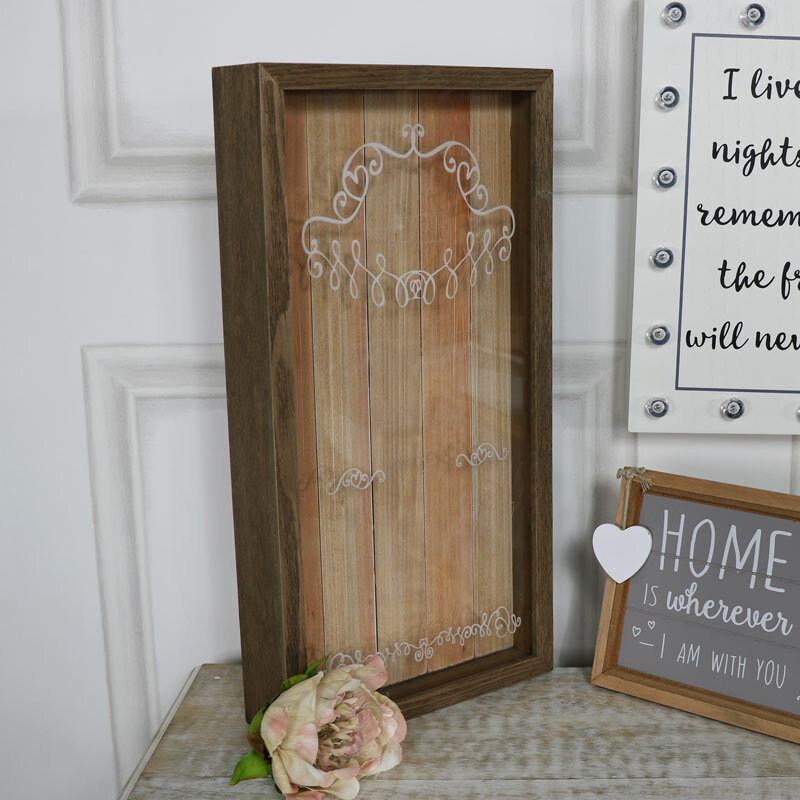 Placed in the living room or bedroom, great for adding a little soft lighting to a room. Plaques can be a great way to express yourself and your style. This LED wall plaque would be a great gift for friends and loved ones. 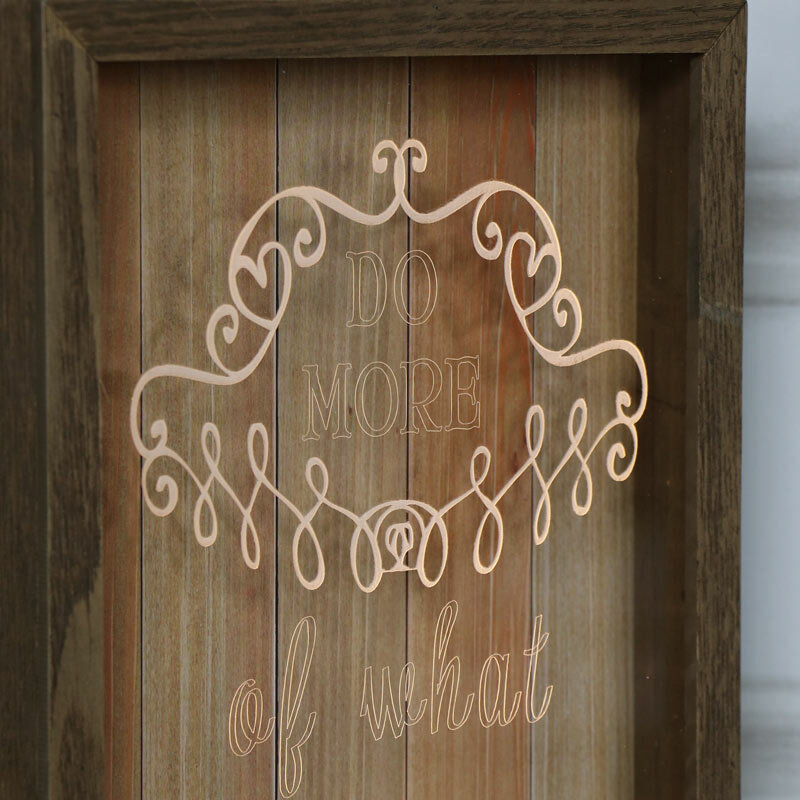 Laser engraved perspex with the words, "Do More of What Makes You Happy" in a wooden box frame. LED lighting makes the words light up when switched on. A fantastic way to light up a room. Placed in the living room or bedroom, great for adding a little soft lighting to a room. Great inspirational quote, this will make a great gift any time of the year. In a freestanding design with perspex display safely encased in a wooden box frame. Takes 2 AA batteries (not included).